Last year a bunch of European tech startup founders got on their bikes and raised money for charity. This weekend just gone the TechBikers – 70 founders/techies – once again achieved their 200 mile, 3 day cycle ride from Paris to London in style. So we figured it was worth a quick mention in our normally action-packed coverage of breaking tech news. As a result of last year’s ride, TechBikers built a school and two libraries in Nepal. This year they’ve so far raised $75,000, enough money to build sixteen libraries or schools in India, Africa and Asia, courtesy of the Room to Read charity. Each library can serve as many as 2,000 children in these countries. And you can still donate yourself here, go on, do it. The donations are powered by a genuine startup, believe.in, which allows all the money donated to go to the charity, and the payment fees were waived by Stripe. 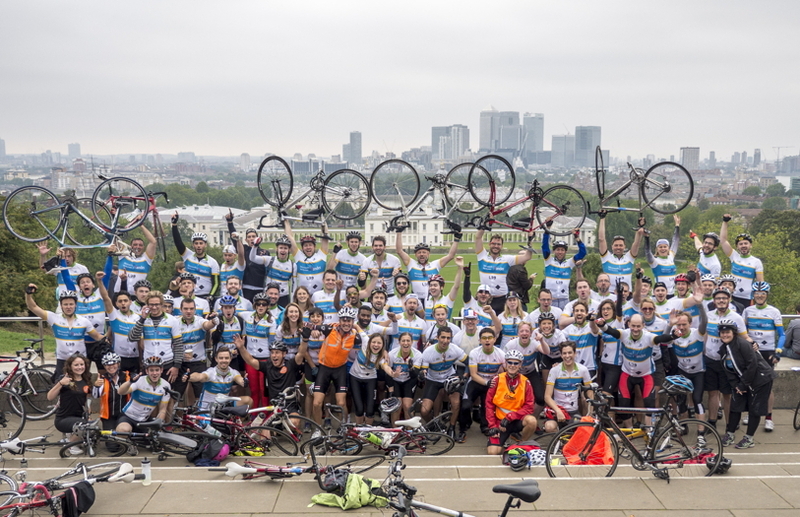 Techbikers has quickly become one of the biggest startup/tech fundraising effort for charity in London, if not Europe, and it’s even spawned other chapters, notably in Germany, with TechBikers.de. The Techbikers 2013 group is very representative of the London tech industry featuring VCs (Index, Balderton, WhiteStar), big companies (Google, Microsoft, Yandex, Yammer, Qualcomm), Co-working spaces (Techhub, Level39, Hoxton Mix, Central Working, Campus London) and a bunch of startups like Mixcloud, Stripe, GoCardless, GoCarShare, Qriously, Blaze, Knodium, Audience.io, Knodium. The whole idea was the brainchild of Eze Vidra, head of the Google-backed Campus London facility for startups, who worked with Abraham Choi, Mark Jennings, Ben Southworth, Gerry Newton, Andy Young and many others.